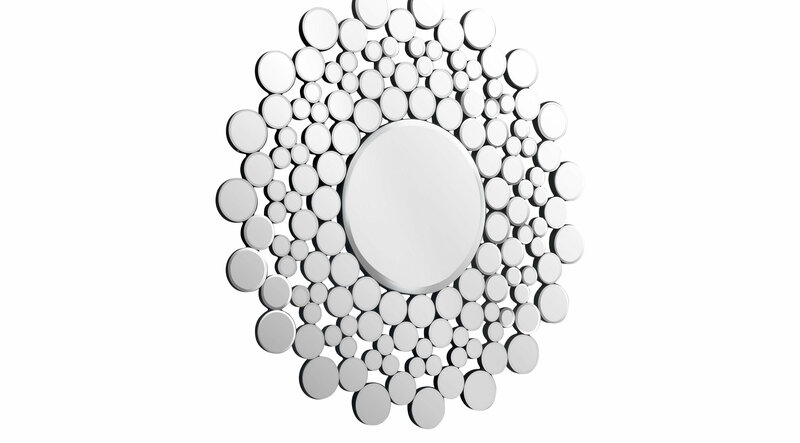 Mirrored dots in various sizes create a lace-like pattern around a central round mirror. As artistic and beautiful as it is functional. Stunning in your entry, over a console table, or above your mantle.